Went to the John Prine concert in Tucson last night and was pleasantly surprised to see Fats Kaplan playing psg fiddle and mandolin in the show, what a talent. Well worth seeing if you have a chance. Just bought tickets to his show in Berlin in September. I hope he brings him, too. The last time I saw John Prime was back in 1972 when He and Stevie Goodman did a duet tour. I saw them 5 nights in a row. "John Prine is Pretty Good." I hope to see him too. You never know where Fats Kaplin is going to turn up next. He even played on an album that a buddy of mine made several years ago after moving from California to Nashville. To visit in the land of the windchill factor..."
From Sabu Visits The Twin Cities Alone. Yes he is an American treasure. I had the fortune of meeting him and his brother years back in Cleveland during a Jimmie Rodgers tribute done by my friend at the R&R Hall of Fame. He was such a nice and humble man, he desearvesall the accolades that he is recieving for his new album! 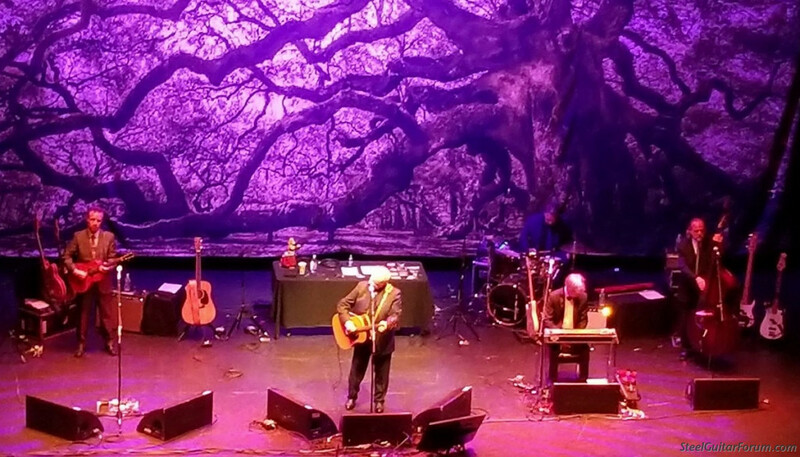 The John Prine show in Port Chester NY last night was a treat. Great band (plus a solo acoustic mini-set) including Fats Kaplin with alot of tasty PSG, along with fiddle and mandolin (he just barely got his fingerpicks back on to take a steel break in the middle of one song). John's touring all over this year and seems to be having a ton of fun -- highly recommended if he comes your way. My bandmate sent me a photo from the Capital, Port Chester, asking who the steeler was. I took a steel lesson from Fats in NYC in 1984 or so. Super player and multi--multi tool threat. And Prine is a treasure.